The collard green salad is my absolute favorite right now. 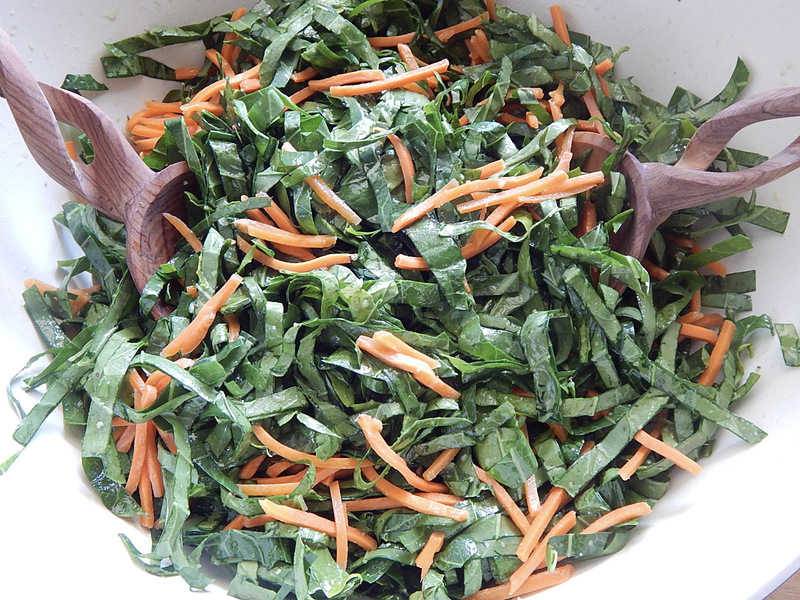 I had always cooked my greens, but I think that I like collards raw better. 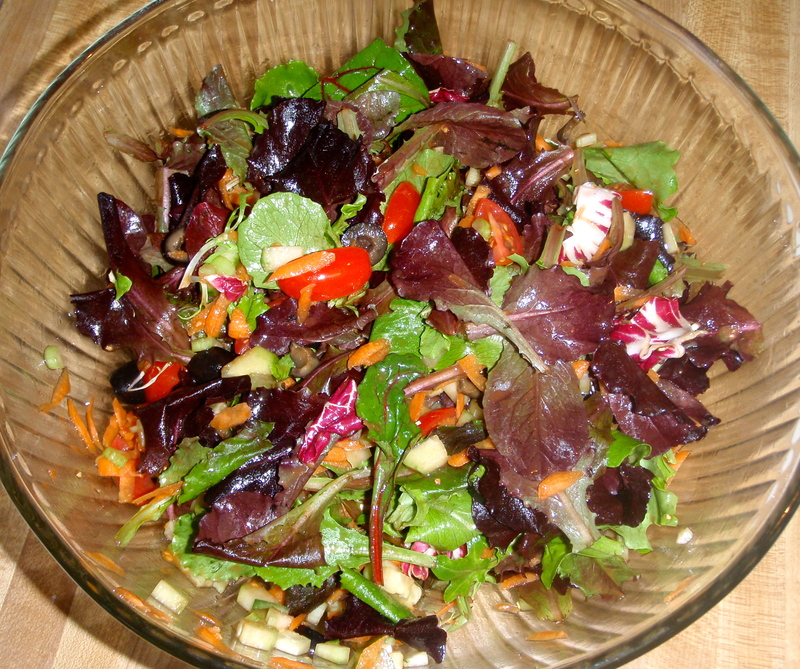 The trick is to make the salad early and let it marinate in the dressing for a couple of hours. The Balsamic Vinaigrette is another favorite right now. It is actually my Dad’s favorite salad dressing and the kids too (they call it honey mustard). There is no oil in it, so there is a lot less calories and no fat. You may want to make extra and keep it in the fridge. Cut the stems out of the collards and thinly slice them. Put them in a large bowl with the carrot and pepper. In a small bowl combine the remaining ingredients for the salad dressing and whisk until they are well combined. Add the dressing to the greens and toss. Cover the salad and put it in the fridge for at least 2 hours.